Détails sur SWORN TO FUN LOYAL TO NONE BELT BUCKLE NEW NICE! 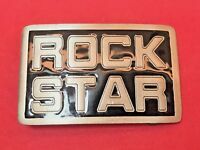 SWORN TO FUN LOYAL TO NONE BELT BUCKLE NEW NICE! Great American Products Skull Spider Cards Metal Belt Buckle 3.5"
Great American Products White Black Silver Dice Metal Belt Buckle 3.5"
Great American Products Golden State Warriors NBA Licensed Belt Buckle 4.5"
Great American Products Mexican Style Wrestler Red Black Metal Belt Buckle 2.75"
SWORN TO FUN LOYAL TO NONE BELT BUCKLE NEW NICE! 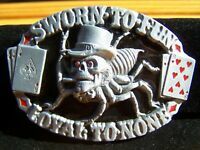 SWORN TO FUN LOYAL TO NONE BELT BUCKLE NEW NICE!